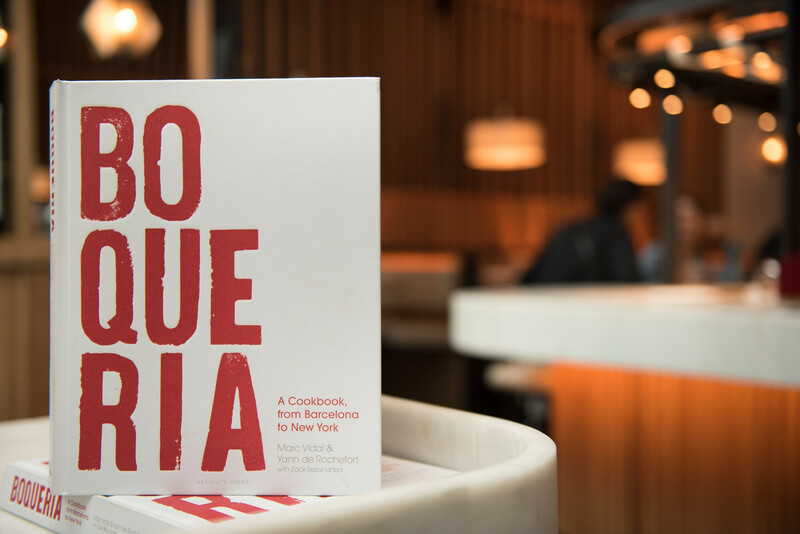 Marc arrived at Boqueria eager to add new dishes to the menu, but his most important mission was to pick apart and perfect Boqueria guest favorites. He obsessed over the croquetas. 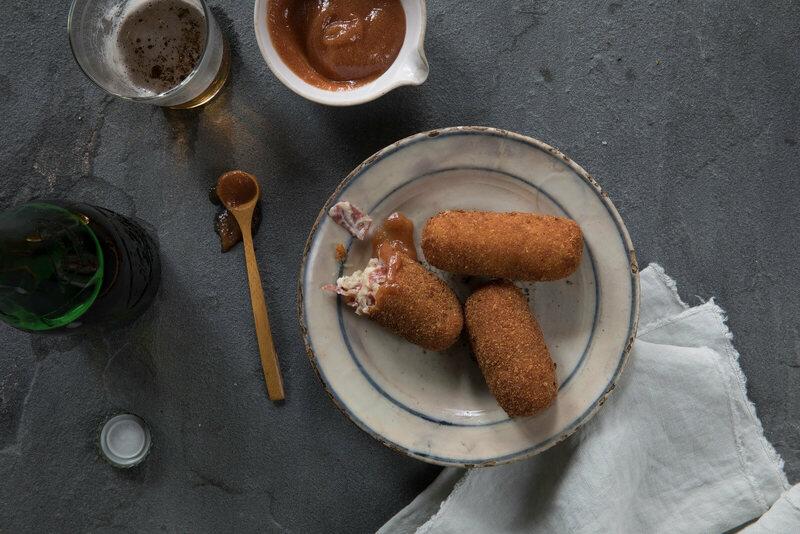 He knew that a passable croqueta could still be easy to love, but that an expertly executed croqueta is an irresistible glimpse into another dimension. Heaven, breaded and fried. The barometer of a Spanish restaurant, croquetas may not be the flashiest item on the menu, but they’ll tell you how good the kitchen is. From the breading to the béchamel, everything has to be just right. Marc knew he had to take them up a notch, and almost two years of trial and error, tweaks and adjustments resulted in the recipe we use today. Perfection perfected comes from great ingredients. In this case, that means that the better the Jámon, the better the croquetas. Ibérico de bellota is the best you can get, but if you can’t find that, go for Serrano. Die-hard Ibérophiles might have a whole leg of Ibérico hanging around. If you are so lucky, you can use the o-cuts and trimmings to dice for the filling and you can simmer the bone in the milk for more porky goodness. Otherwise, buy thick slices to cut. To balance the savory Jámon, we serve the croquetas with a sweet and tangy quince salsa for dipping. 20 minutes. Meanwhile, combine the milk and cream in another saucepan and bring to a boil. Remove from heat. Medium-low. Continue stirring while pouring in 1 cup of the milk mixture in Continue adding the milk mixture 1 cup at a time, stirring well. Wait until the addition should take about 5–7 minutes. Add the jamón and stir well until it is evenly distributed. Remove from the heat. Season to taste with salt, then transfer to a large bowl. Press a piece of plastic wrap directly against the surface and refrigerate until the mixture is cold, at least 4 hours. Form the mixture into cylinders measuring about 3 x 1 inches by scooping the mixture, then rolling with your hands. If the mixture has softened too much, refrigerate again. Put half of the breadcrumbs in a shallow dish. Beat one of the eggs in another shallow dish. Roll each cylinder in the crumbs to coat, shake off excess, then roll in the egg to coat. Finally, roll again in the crumbs to coat well. Use the remaining crumbs and egg when you run out or when the crumbs become too clumpy. Fill a large saucepan with oil to a depth of 3 inches. Have ready a few wire racks covered with paper towels. Heat the oil over medium-high heat to 375oF measured on a deep-fry thermometer. Add the cylinders to the hot oil, one at a crowding. Cook, carefully turning to brown evenly, until the croquettes are dark brown outside and hot inside, about 1 minute. Use a slotted spoon to transfer to the racks to drain. Repeat with the remaining croquettes. 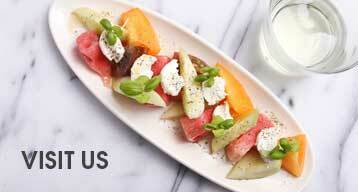 Serve hot or warm with the membrillo salsa for dipping. Combine the membrillo and the water in a small saucepan. Cook over medium-high heat, stirring occasionally until the membrillo dissolves and the mixture is smooth, about 7 minutes. Cool to room temperature, stirring occasionally. The mixture should be thin enough for dipping. If not, stir in 1–2 tablespoons water. Stir in the vinegar and serve.